I never heard of runner blues. After we crossed the finish line of the Tower of Terror 10 miler a little over a week ago, I felt the biggest sense of accomplishments I have ever experienced. Meeting this goal was one of the best feelings I have ever had. I couldn't wait to get out there again and accomplish my next goal. The days following the race, Gabe came down with the flu and I had zero motivation. Next thing I know, a week goes by. We finally laced up our sneakers over the weekend to find ourselves very blah. I wanted to quit after mile one. That isn't like us at all. Then it hit me. 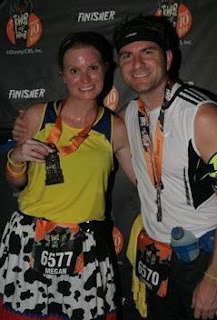 I felt like I pushed myself week after week for 6 months to meet the goal of completing the Tower of Terror 10 miler. It was the core of what motivated me every time I went out for a run. Now it is behind me and I am a little depressed. The TOT10 was a very difficult race to run. While it was my longest distance to date, I did not have a problem with the mileage. It was the humidity and the course. I am a Florida native and never experienced 100% humidity at night. It was absolutely horrendous. My pace was off, my confidence was down and I got sick after completing the race. I feel like all this, and not having a near goal, is really affecting my running. Sure, I have the Walt Disney World Half Marathon coming up in 100 days but I only have to go three additional miles than what I did on September 29th. I know if I don't get back out there, I will lose what I have trained for. 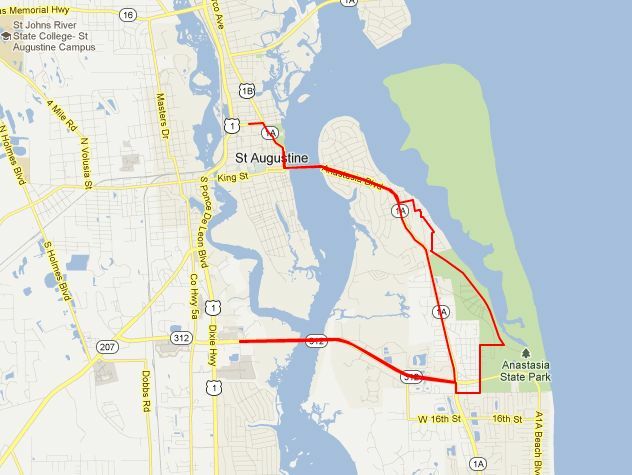 So today, I have decided that I must sign up for a Half marathon prior to the WDW 1/2. I need to take action before it is too late. There so many options - so I need help deciding. 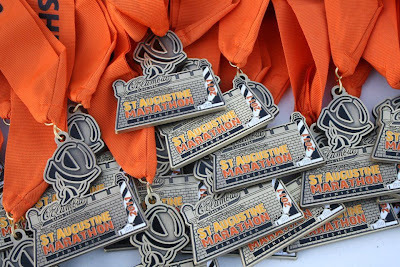 Based on the course and medal, which would you choose? This course is beautiful. My only downfall is that none of my friends will be able to run it with me. Gabe will be in the middle of Comps for his Masters Degree. I would be all alone. This is the week following the Wine and Dine Half Marathon which most of my running friends are attending. Another absolutely beautiful course in one of my favorite cities. Downfall here is that I would have to travel home for the weekend and stay overnight in St. Augustine the night before. I would also be running this alone. The race does start at 9am, and it is Florida.....so no way in this world will I be caught dead running in a long sleeved shirt in a December race. It's still warm here in December! So which would you do? I will most likely run the Santa Shuffle along with one of the two top races. Right now, I am leaning towards the St. Petersburg Half. 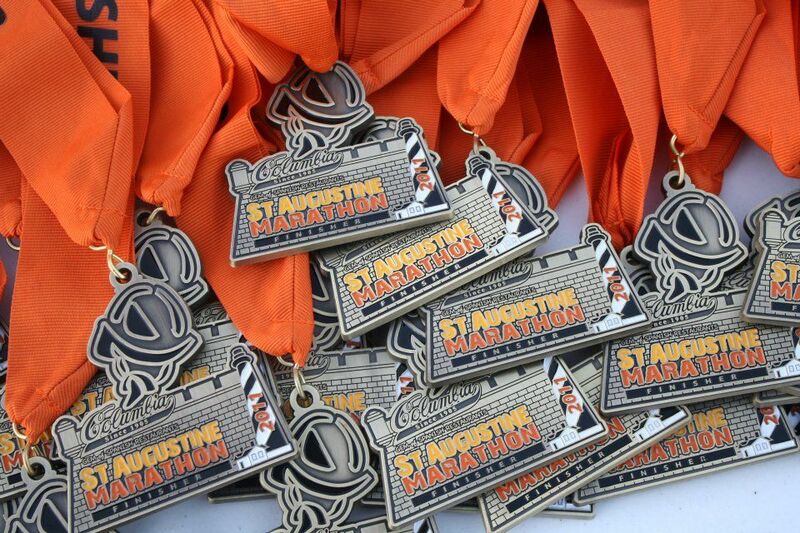 Based solely on medals my vote would be the St. Petersburg half! I agree w/ you Felicia :) It is all about the medals for me!! Great to know all these races going on! You are on a roll girl! Super inspiring. I have yet to participate in any runs but I've been meaning to. I try to run 2-3 times a week on my own but haven't formally trained for anything. Hope you feel better and don't get sick! Thank you so much :) That is great you are running 2-3 times a week. You should sign up for a 5K! I am going to FL from Trinidad for the WHM in St. Pete's on the 18th... It looks like a beautiful course! I know what the runners blues is - like you, I completed my 1st half and was a little blah about running. I had pushed myself for so long and so hard and was unmotivated. BUT then I booked a couple more races and BAM - you're back on track! Let me know if you go to the WHM race..
Hi Corey! I am leaning towards the WHM. I will let you know for sure if I end up doing it. That's tough - can you do all 3 :) haha I'll see you in Disney - based on just the medal - I'd do St. P!